Cosatto Giggle 2 Pushchair has everything you need from day one. Cosatto Giggle 2 Pushchair keeps your baby cosy in the most convenient way. There’s a smart coordinating changing bag for all your bits & bobs too. Why Should I Buy The Cosatto Giggle 2 Pushchair? If you want a choice in the the way your baby faces in their pushchair from birth, then the Cosatto Giggle 2 Pushchair must be on your list: You can either position your baby to face you, or to face the outside world. With a convenient and stylish lightweight pushchair chassis made from aluminium, it is also very easy to move the Giggle 2 Pushchair around. Because it has a full recline position and suspension, the Giggle 2 Pushchair is great for tiny babies who snooze most of the time. The recline is fully adjustable for growing babies and the height of the handle can also be moved up and down to suit whoever is driving! As the Giggle 2 Pushchair has lockable front wheels which also swivel, you can manoeuvre this lightweight pushchair very easily. The wheels are easy and quick to release and can be taken off for storage. When not in use, the Giggle 2 Pushchair has a compact fold and automatic lock. This is helpful for storing the pushchair in smaller spaces and for taking out in the boot of the car. Cosatto Giggle 2 Pushchair includes UPF50+ raincovers for both the seat unit and the carrycot. In addition your baby gets the 4-way reversible cosy toes, chest pads and removable bumper bar (with cover) plus the newborn support wedge. You will be particularly pleased to see that the matching changing bag with mat & messy bag is also included as well as car seat adaptors. Not only this, but the Cosatto Giggle 2 Pushchair can also be made into a complete pushchair travel system when adaptors are used. It is compatible with the Cosatto Port 0+ Car Seat. It is also compatible with car seats from other leading brands when Cosatto multi-brand adaptors are used. Showing our 3 Cosatto Giggle 2 Pushchair reviews with an average rating of Excellent. Would you like to write a review? Your Review - Cosatto Giggle 2 Pushchair comes in beautiful colours that really make my pushchair stand out. Your Review - We love it! 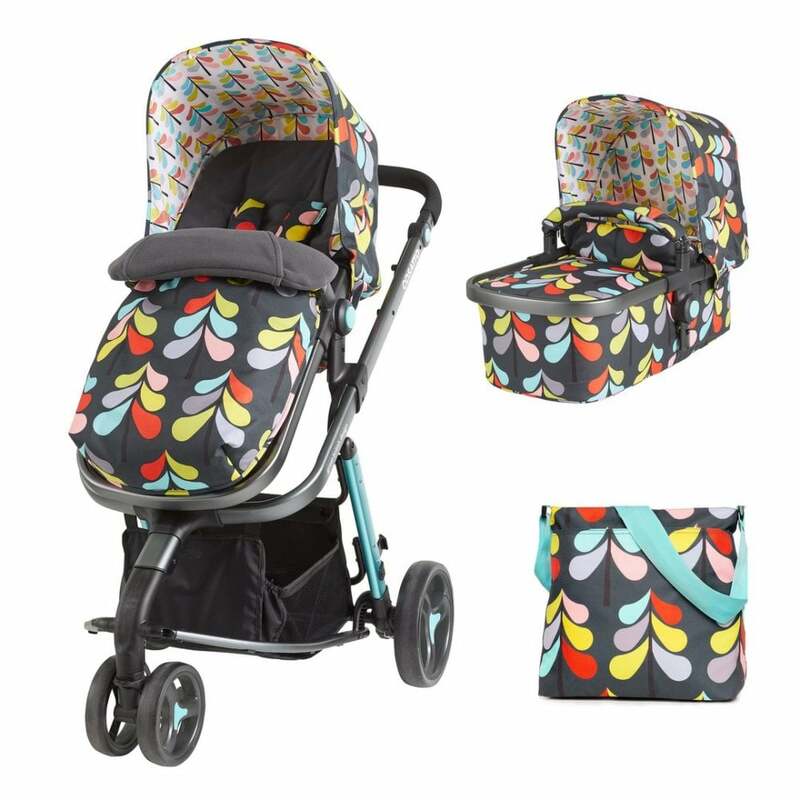 It was the colour patterns that firstly caught our eye to this pushchair, but after reading reviews and viewing it in store, we were completely sold. It included everything we needed, and at a decent price. We use it everyday and love it, the bassinet has been extremely useful and our little girl looks extremely cosy inside. Chose this buggy due to the good price and reputation of the brand, and because the only other expense was a car seat. We've recommended it to all of our expectant friends.